Resolved What Do Companies Often Get Wrong About Digital Transformation? With digital transformation showing no signs of slowing down, what do enterprises often get wrong about digital transformation? I would say only taking it part way. Most will implement the scanning and storing of documents electronically but not take those documents and put them to work within a BPM solution OR integrating the digital content with their other systems OR providing that content to their customers for self-service functions OR only getting one department digital and leaving the rest on paper OR...well, you get the idea. The greatest challenge is approaching from inside out. Organizations embarking on digital transformation get caught up and struggle mightily with what is the right process and digital architecture. It is not easy for organizations to get out of the comfort zone and realize the paradigm of the digital world is very different. Getting into the customer shoes and really understanding the respective journey and what that digital world is about may be easy in conversation but retooling the business thru digital capabilities is another. Many organizations succumb to the challenges and fall back to simply 'digitizing' what they have and not developing a true digital platform that works from the outside in. Acquiring, managing, retaining and developing products for the customers stay the same and that is not digital transformation. Great HBR article catch @Brian -- and right up to date March 2018. The article though should be read in the context of Dr. Samarin's comment below! 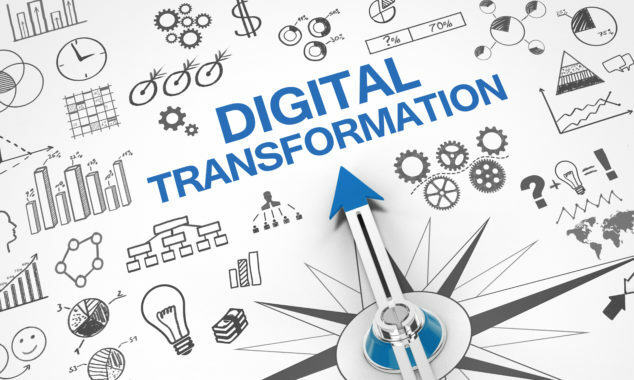 The article “Why So Many High-Profile Digital Transformations Fail” (the link to the article is provided by Brian and the link to the LI discussion is [ref1]) discussed the same topic and this article even don’t mention architecture! Transforming a complex system into complex digital system without architecture? Just having enough enthusiasm to replace professionalism….This reminds me the “great leap forward”. Marvellous reference to the #GreatLeapForward! @Dr Alexander Samarin, Fantastic observation! Architecture and BPM all forgot. I think Jim summarizes it pretty well here. In particular, the lack of focus on customer journeys / CX is endemic in corporate America. Time after time, customers ask us to build solutions based—not on the the experience of customers and other stakeholders interacting with the application—but rather on a set of "requirements" that often say nothing beyond what the application may NOT do. To my understanding all companies somehow have to go digital... the wording "transformation" refers to that we rethink our business and "digital" means that the some form of automation, robotics, AI or IoT play major role in this redesign. Most transformations fail because the lack of change management. In digital transformation this might be that the transformation is too expert driven (instead of business or customer driven).... thinking that digital transformation is about designing new it-systems, web pages, platforms, apps or cloud services. To begin with, companies have no clue what the term is supposed to mean. I can't blame them—to me, digitization is the profession in which I've been engaged since the 70s. It's not surprising, then, that companies may think of digital transformation as little more than moving their datacenter into the cloud (not a trivial undertaking, to be sure), or replacing paper forms with interactive web forms. Perhaps if we called it Digital Business Transformation, the intent would become more clear. The change is significant, complex, and doesn't happen overnight. In the long run, however, business as usual and digitization can't forever coexist in an organization. Either the business is being transformed, or it is not. “digitization is the profession" Agree (also doing this from 70s) and would add “multidisciplinary profession”. However I wouldn't call this "Digital Business Transformation" because it may be a repetition of “Business Process Management” trap , e.g. confusion between “transformation of digital-business” or “digital-transformation of business”. Of course, for non-English-mother-tongue people. This is clearly a key issue as only 43% of the managers surveyed agree with their company’s digital policy. This statistic once again underlines the need for effective communication when trying to make the digital shift. Digital a readily used term yet in reality understanding just "how" to deliver results is a gap in knowledge. For company and government digital transformation this requires recognition it is not just not just a well designed web UI for customers but needs to include the back office support orchestrating data including use of legacy as required and of course adaptive UIs for all including internal staff. This requires the outside in approach with BPM aiding understand exactly what is required and before embarking upon a such a project should truly understand how the software can deliver. Transformation is not only an outcome benefit to business operations but will require transformation in recognition it should not be an IT driven project. It will reduce the gap between users and operational applications putting business knowledge as drivers not IT. Businesses and Governments need to be supported with independent research on available capabilities and until this is addressed the likely hood of digital transformation going "wrong" remains high! Beyond the transformation event horizon, I note #magicalThinking and #transformationFetishism. Do you really understand the value chain in your business? How exactly is a transformation going to improve your market position? How is transformation not "breaking something"? What are your risks? And because we are all about process here, what impact will transformation have on your business processes? Are you explicitly focused on business process? Business process is how you do the work along your value chain. Business process is the work of business. And as executives, your job is to figure out how to do the work of business better. That's business transformation. Business transformation itself is only a label. RE “what impact will transformation have on your business processes? ” – Elementary. You have to transform your business to be digital, i.e. to build life cycles (and related processes) of your business primary products and services on the primacy of explicit, formal, computer-readable and computer-executable presentation (description?) of those products and services. RE "Are you explicitly focused on business process? " "Life cycle as a process" ( http://improving-bpm-systems.blogspot.bg/2013/11/practical-process-patterns-lifecycle-as.html ) may help. +1 @Alexander "life cycle as a process", which could be compared to the what I wrote about elsewhere on BPM.com as "Automation Artefact Manufacturing As First-Class Function Of BPM". Artefact manufacturing as a first-class function of BPM technology is in addition to "process" and "work" as first-class functions. Together they define the uniqueness and importance of BPM automation software technology. The emphasis on the fact that BPM is very much about "building new things" is sometimes overlooked. Thus support for the "new thing life-cycle". This can be generalized to " . . . .forgetting anything important can lead to peril"
This is what keeps me on board with "Resource Based View" - If you can see the scarce resources you have, which ones are in use, not in use, where . . ., you have a better chance of success (i.e hard to manage what you cannot see). Most critical error typically made during digital transformation is starting it without well developed business model. Digital transformation is seen by many as the key of success in modern business. Equally, many see it as the primary danger for an established business. Despite exactly opposite views, both these groups are common on one fundamental point. Both blind admiration and aversion miss understanding of what digital transformation is. Admirers falsely think that just one magical business platform will instantly solve their ongoing business problems. Opponents quite reasonably doubt and are afraid of the change. Understanding of digital transformation does not relate to reading thick books and studying relevant research. Rather, it is a sequence of reasonable steps to get familiar with your business before transforming it. This is well suitable for any business change, not necessarily digital. But for digital transformation it is significantly more important. Unlike business changes in pre-digital era, where planning was important but still optional, digital transformation is simply impossible without business model in place. Human workers can be given vague tasks in a hope that they will know themselves what to do. Computers will never forgive such careless attitude. Digital platform will do exactly and only things it is told to. If not told to do something, it will do nothing. If given wrong directions, it will do rubbish. There is no magical AI, which will make business for you. There is nobody to blame, except for yourself. Therefore, digital transformation can be done only with valid business model. Omission of proper business modeling while preparing digital transformation is most fundamental error causing all failures in this field and yielding unjustified concerns on relevance of the transformation as such.